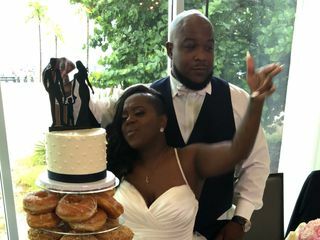 Sweeter Days was the suggested bakery at my venue and I am so glad! They created the most beautiful cake for our big day. I am so happy with my experience with them! The company was very professional and organized. I spoke with Steve who explained their process and showed me pictures of some of the cakes that they have done. I liked that I was able to see the staff decorating the cake and the cleanliness of the set up. Steve gave me samples of their cakes to take home. They were all amazing and I was happy when my husband enjoyed them. We ended up picking the strawberry cake. 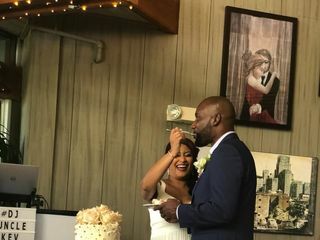 I was pleasantly surprised to see everyone at the wedding enjoying the cake including our boys who usually only eat chocolate cake. I received compliments on how beautiful the cake looked and taste. Sweeter days was amazing. My fiancé and I had a destination wedding and scheduled a tasting there. We decided on a one tier sea salt and caramel white cake with a navy ribbon. It was sooooooo good. Too bad we couldn’t finish it all and couldn’t take it back to Ohio with us. Steve was phenomenal. He was professional, personable and accommodating. He allowed us to rent the cake tier so we could put our donuts on it and even recommended a place for us to order our donuts. I would recommend this bake shop every time. I am SO happy I chose Sweeter Days to do my wedding cake. First off, Will was a pleasure to work with and we had so much fun at the tasting in the store. They came highly recommended by a lot of people, and I know why! 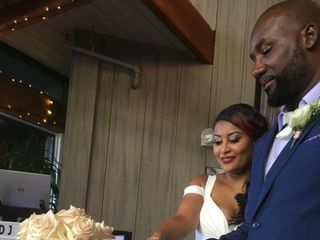 My husband and I were married in Fort Lauderdale on June 9, 2018, and we had Sweeter Days make our cake. We ordered a three-tiered salted caramel cake. It was the most beautiful and delicious cake ever! Steve was fantastic and so helpful when we were in the planning stages of our wedding. We currently reside in Illinois and know that every time we go back to Fort Lauderdale, we will stop in and order a salted caramel cupcake to bring back all our beautiful memories from our wedding! Sweeter Days are the best, and we would recommend their services for any type of celebration. there were so many to choose from, it took a little time. Steve was extremely patient and helpful, not to mention the end product!! it was absolutely beautiful. As always, excellent service and delicious cakes! Our wedding cake was perfect! Our cake came out beautiful and the cupcakes couldn't have been more delicious. Steve is very easy to work with and was great at helping us make decisions. He even let our little flower girls sample the flavors :) We went for a simple, elegant tiered cake with ruffles and fresh peonies and the lemon curd filling with an assortment of mini cupcakes. We'll definitely be back. We couldn't be happier with our overall experience with Sweeter Days! Steve was an absolute pleasure to work with and our wedding cake exceeded our expectations! Steve was always quick to respond to any questions and extremely easy to get in touch with. 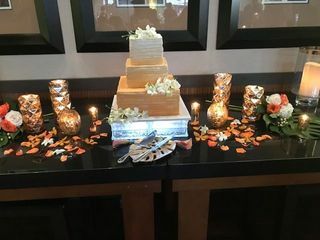 Our wedding cake was beautiful and our guests couldn't stop telling us just how delicious it was! From the initial tasting, we knew we had to go with Sweeter Days. Thank you for being a part of our wedding day! If I could eat this wedding cake every day of my life, I totally would. Steve at Sweeter Days was so easy to work with, the cake was AMAZING and the prices were more than fair. We were totally blown away by Sweeter Days. We are from Ohio, but you bet the next time we are in Florida, we'll stop by to relive that tiny piece of our wedding. Steve and Will are awesome! They are nice, accommodating, and honest. Their cake is absolutely delicious! When my husband and I went for our tasting, Steve recommended that we try the Salted Caramel. Let me tell you, it is out of this world! We wound up picking it for our wedding cake (along with chocolate fudge as a second flavor) and it was just a delicious on our wedding day as it was at the tasting. When our guest count dropped from our original estimate, Steve was kind enough to call us to recommend going down a tier size to save us some money. Goes to show that he is an honest business owner that wants the best for his customers. You won't regret hiring Sweeter Days Bake Shop! Sweeter Days came highly recommended by our wedding venue. We had to relocate our wedding in 5 weeks due to hurricane Irma. In such a short period of time, Steve was so accommodating and really understood my vision. Our wedding cake was so beautiful not to mention delicious. The wedding cake was everything I dreamt of! We absolutely love Sweeter Days! 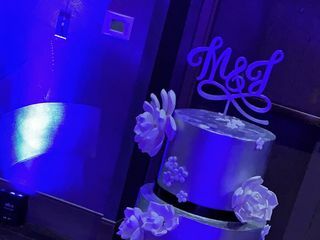 They are quick to respond and are there every step of the way with picking out a wedding cake, decoration ideas, and even contacts to find other vendors. We order or wedding cake, groomsman cake , as well as a birthday cake for my niece. Everything was delicious and beautiful ! I highly recommend going to them for any event that needs cake or cupcakes ! Will and Steve were so helpful and patience with us in picking out our wedding cake. We went with a small 6 inch cake and then 170 mini cupcakes in all different flavors. The guests loved the variety of flavors and everything was delicious. I highly recommend this bakery fr any event you might be planning. 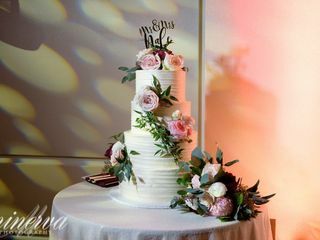 Our wedding cake was absolutely beautiful and delicious! We will definitely use Sweeter Days Bake Shop for our other life celebrations! I had purchased cakes from this shop before our wedding for birthday parties, so I knew this was exactly where we would go for our big day. I worked with Steve to put our wedding cake together -- I showed him a photo of what I was looking for, and when the price was a little too high, he had suggestions of ways to make it less expensive without compromising the look. It turned out beautiful and our guests were RAVING about the red velvet cake! 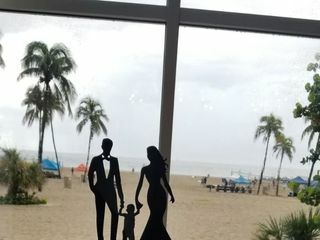 Sweeter Days was one of two Bakeries from which we could choose for our wedding at the Hilton in Fort Lauderdale. Sweeter Days came highly recommended so we decided to try them out during our cake tasting. From the first meeting, Stephen was wonderful. He made the cake tasting enjoyable for my husband and our family. He accommodated an extra person who tagged along (our daughter). He was very thorough in making sure our order was correct and stayed in contact with us up until the wedding. The cake was stunning and everything we had hoped for. The guests raved about both flavors we chose. We would not hesitate to highly recommend Sweeter Days to anyone looking for a beautiful wedding cake. I received Sweeter Days Bake Shop information from the Pelican Grand's list of Vendors. I met with Steve and had a cake tasting with six different flavors cup cake which was to die for. I choose the salted caramel and it was delivered with the design of my cake. Our theme was a wintery theme and our cake was designed with snowflakes. The shape of our cake was already unique in itself, but Steve was able to copy it to perfection. Everyone loved our cake and complimented the design and how great it taste. It was just spectacular and perfect. Thank you Steve and your team. The theme for my 70th was bustiers & stilletos. I brought in a picture of a fabulous bustier & Sweeter Days reproduced it EXACTLY, right down to the pearls & cameo; all edible! And speaking of edible...WOW! I had a 'tasting' several weeks earlier & chose from dozens of fillings & flavors. ABSOLUTELY FABULOUS! Went to the bake shop for our wedding cake. From the minute you walk in you want to just eat all of the desserts! Such delicious and different varieties. The staff was extremely helpful and easy to work with. They explained all the options and were extremely helpful in guiding us through the process of selecting our cake flavor. The cake tasting was everything I hoped it would be. They offer water which helps tremendously when tasting all your options. The overall experience was wonderful. Definitely recommend this shop!! Sweeter Days provided us with excellent customer service when we were planning our wedding. We were planning from out of town and they made the entire process stress free, including a last minute tasting. Our wedding cake was exactly what we wanted. Their presentation was flawless and the quality of the cake was second to none! Thank you! The cake was perfect! Best wedding cake ever! !